Looking for something to do over Spring Break? Join us in our workshop area for our Bracelet Bar + Open Studio and make your own beaded bracelet! This has been a favorite event of ours as we get to open up our workshop space and get to know you guys! This is an "Open Bar" event meaning you may come any time we are open! 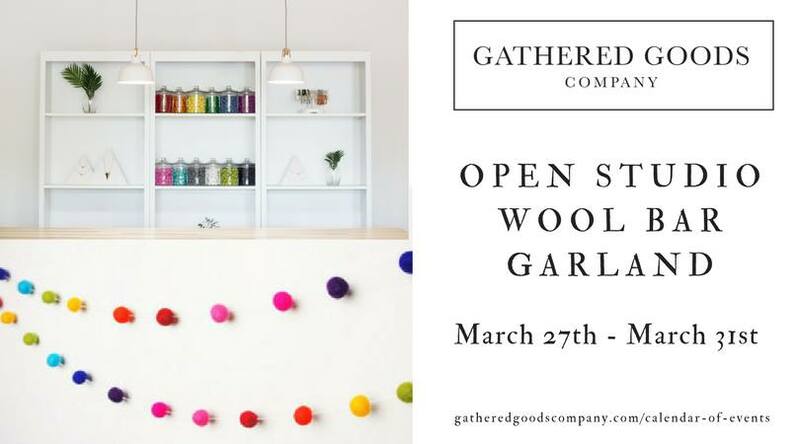 Join us for our Wool Garland Bar during our open studio hours!